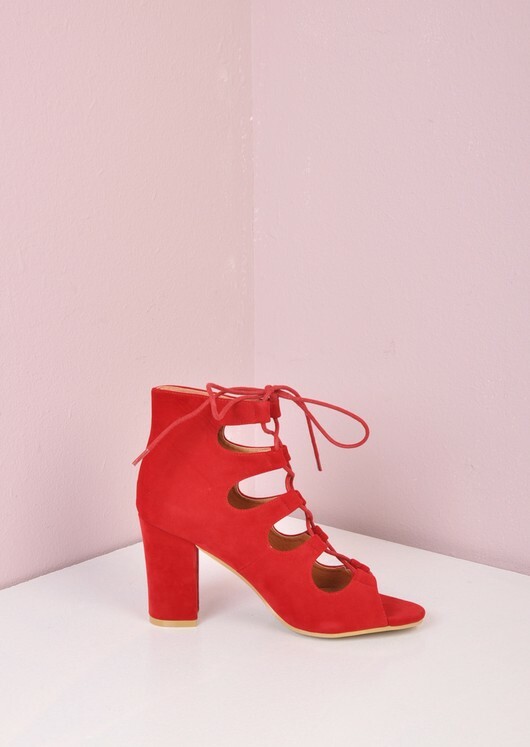 Get all heads turning your way with these super sassy red tie up heels. 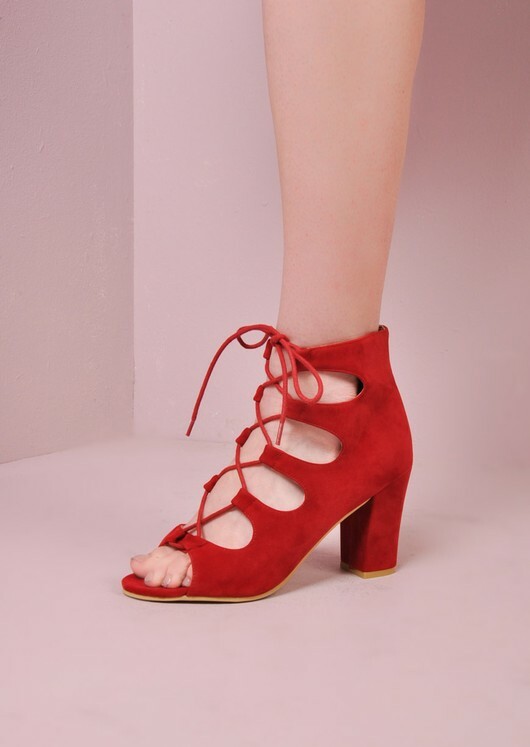 Features a chunky block heel, lace tie up front and lush velvet material. 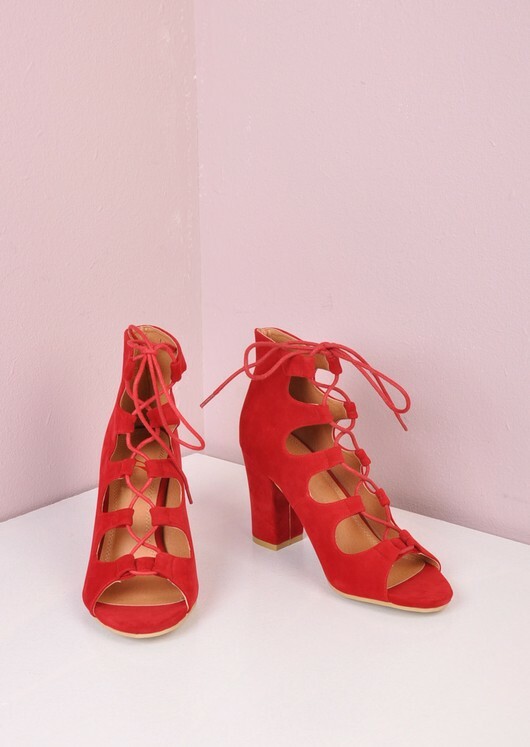 These are a must have for your spring/ summer wardrobe, you will need them in every colour.